Your weekly dose of city news in short. Seattleites flocked to brewery patios citywide as temperatures reached a downright pleasant 80 degrees for three consecutive days of sunshine. 1. 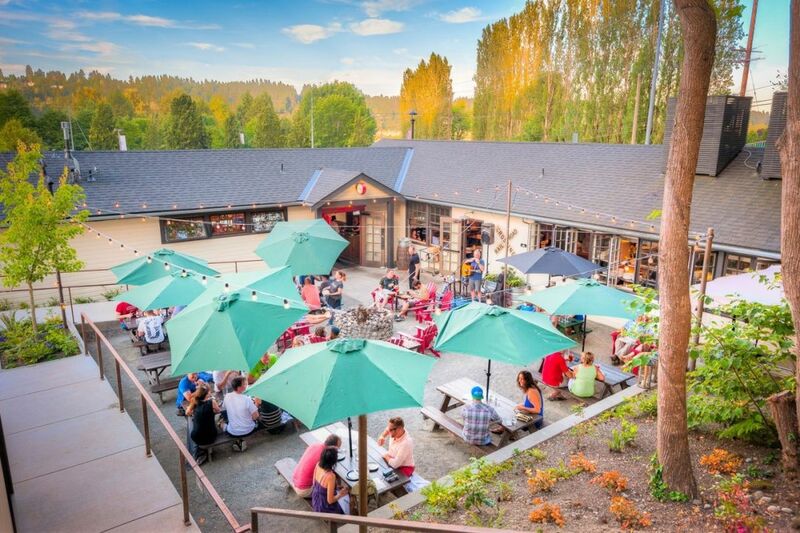 Brewery patios across the city reached capacity as vitamin D deficiencies saw a marked drop across the greater Puget Sound region—for three (dramatic pause) glorious days. 2. Tokyokko (that is, people from Tokyo), played hooky for Mariners legend Ichiro Suzuki when the Ms opened their season across the Pacific, in the Tokyo Dome. 3. We’re all in agreement the rent is too damn high, so maybe it’s no surprise city council came together to unanimously pass a battle plan aimed at lowering Seattle’s cost of housing by raising the Emerald City skyline. 4. Jenny Durkan thinks your neighbors should pay your library fines—or rather, she proposed on March 13 that Seattle do away with the late fee system and make up for lost revenue with a property tax levy, which is more equitable, Crosscut reports, than the current system. 5. The Seattle Opera will be helmed for the first time in its 56 years by a lady, Christina Scheppelmann, who's only the second female artistic director of a major opera company in the United States, KUOW reports. 6. Downtown commuters who haven’t followed the news may have a grim surprise Monday when Metro shifts its bus routes around starting this weekend. 7. New York's "shawarma"-shaped building at Hudson Yards foreshadows a billionaire-driven death of a Seattle-waterfront-for-all, the Stranger argues. 8. Washington is now home to the world's only two centibillionaires (Bill Gates and Jeff Bezos).